Today I took another Floating Holiday. I needed to use one more before the end of the month and today was the best candidate to do so. 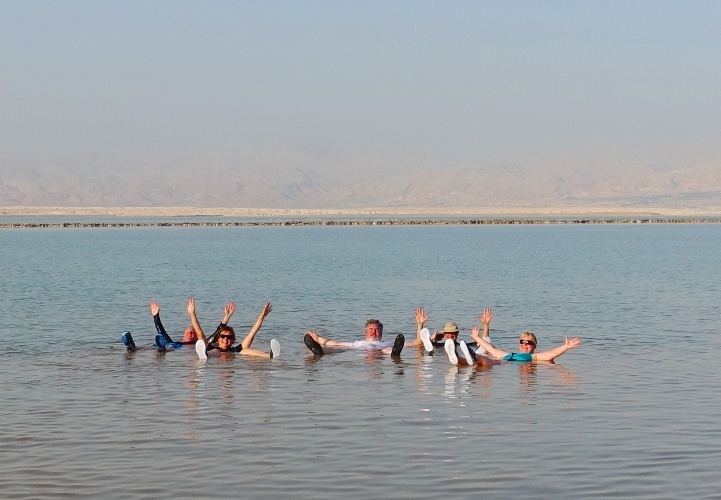 Two weeks ago I shared floating pictures, and could have included this one of me and my friends floating in the Dead Sea. I used this picture in my post Med to Dead. The water was not so nice. It was hot and slimy. I am not sure if I want to float in the Dead Sea again. Here is another view of the Dead Sea. While walking this morning I was thinking about the flow of water in Israel and what flows into the Dead Sea. 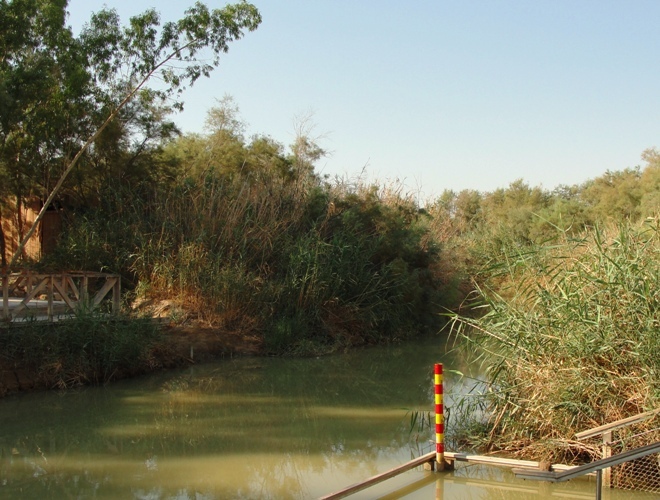 Here is the Jordan River just north of the Dead Sea at Bethany beyond Jordan. I have been listening through the History books of the Old Testament in the last week so thought about how Naaman was told to dip in the waters of the Jordan River. 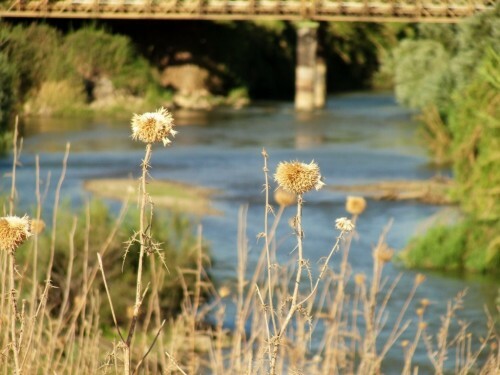 He claimed that the rivers in Syria were better than the Jordan and did not want to follow the instructions of Elisha. Of course, we know that he did finally dip himself seven times in the Jordan River. I am not sure if I would want to dip myself in the spot shown above. 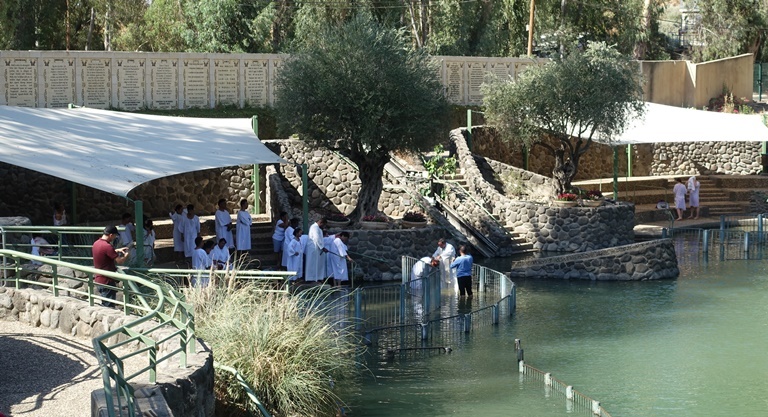 The water is much cleaner where the Jordan flows out of the Sea of Galilee and there is a baptismal site that many people visit. The water of the Sea of Galilee is very nice and I really enjoyed wading in at this place a couple years ago. The water was nice and cool and clean. Here is the Jordan River just above the Sea of Galilee. The water here is also nice and clean. 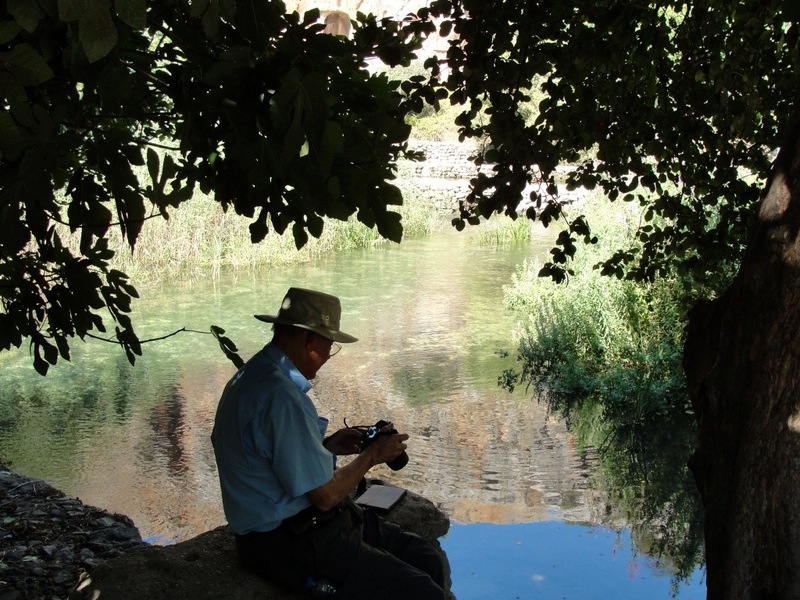 Here is the stream at Dan which flows from one of the sources of the Jordan River. Here the water is very clean and very cold as it comes from the spring. 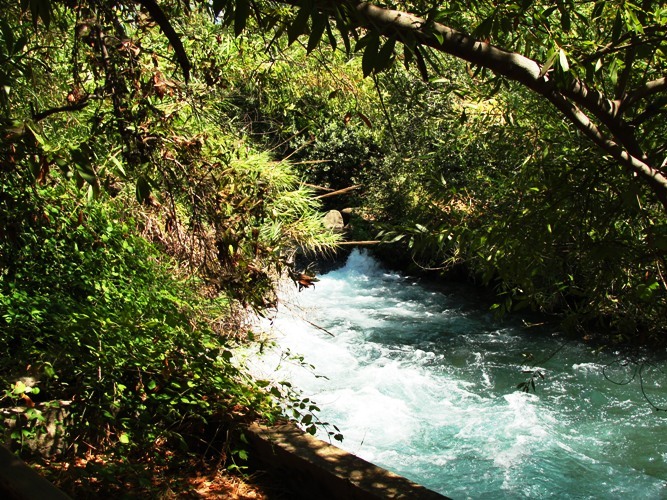 Another tributary of the Jordan River is the Banias River that flows from Caesarea Philippi. 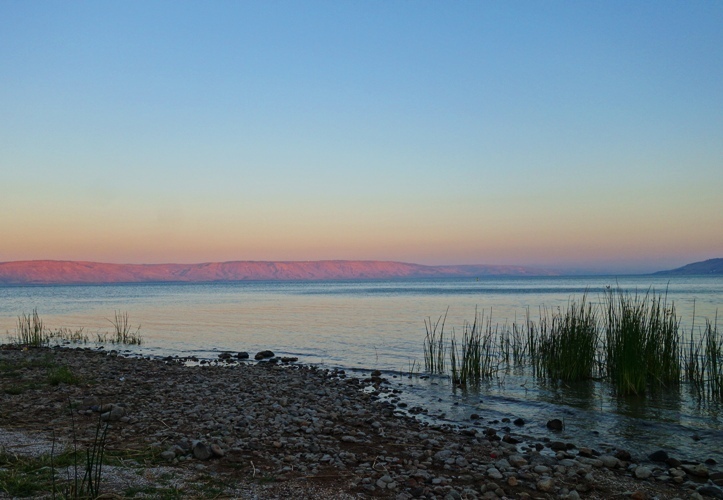 See my post North of Galilee. I went a bit backwards here, but you can see that there is a big difference in the water quality as water flows from north to south in Israel. This entry was posted in Culture, Israel, Travel and tagged Banias, Ceasarea Philippi, Dan, Dead Sea, Jordan River, Jordan Valley, Naaman, Sea or Galilee. Bookmark the permalink.